The International Institute on Race, Equality and Human Rights is a human rights organization created in 2015 working in partnership with local activists in Latin America to build grass roots movements that promote and protect the rights of populations marginalized because of gender, ethnicity, race, socio-economic status, sexual orientation, gender identity or disability. The Institute has a dynamic capacity-building approach to promote the rights of Afro-Latinos, LGBTI people, indigenous peoples, women and other marginalized communities. Using a combination of litigation, community mobilization, human rights reporting, research and advocacy methodology at the domestic and international level, we join our partners in developing and implementing strategies for change. Critical to this work is expanding the role of NGOs representing marginalized communities at the regional level. Hence our program includes building the capacity of our partners for advocating for the full incorporation of discrimination issues at the Organization of American States (OAS) and litigation within the Inter-American Human Rights System, in coordination with domestic litigation, policy advocacy and community mobilization. 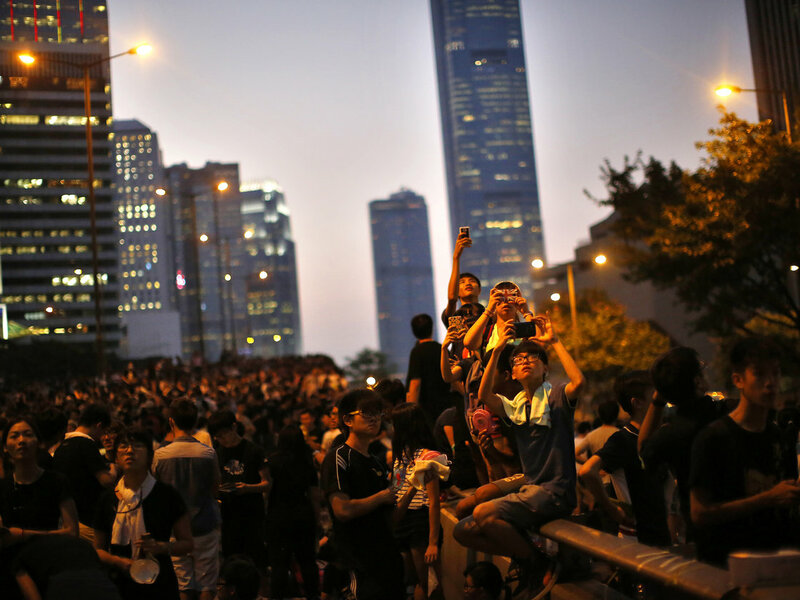 Using the Universal System is also crucial for the advancement of human rights, in particular the Special Procedures and Treaty Bodies, such as the UN CERD and CEDAW Committees. The Institute works extensively in the UN system. Apply: No calls please. Send immediately cover letter, resume, and writing samples in English and Spanish by email here. The Federal Public Defender represents indigent people charged with federal crimes, including bank robbery, gun and drug crimes, immigration violations, and various frauds. Law clerks assist the defenders by researching legal issues and drafting trial memoranda, motions to suppress, jury instructions, appellate briefs, and other legal writing. 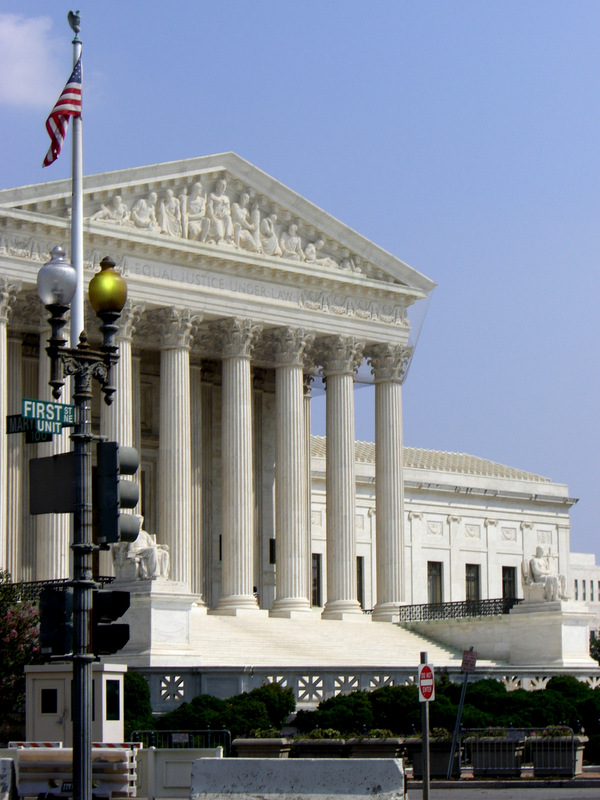 Typical research topics involve search and seizure issues, the right to counsel, outrageous government misconduct, evidence questions, and constitutional issues in habeas cases. We are currently recruiting for summer 2018, but will also consider externship applications for the 2017-2018 school year. We accept applications for both our Portland and Eugene offices. The position is full time during the summer months and can be part time (minimum 16 hours a week) during the school year.Students must have finished their first year of law school by the time they begin work. Students must have a GPA of 3.0 or higher. To Apply: Send a cover letter, resume, 5 page max writing sample (excerpts okay) and transcript to Jessica Snyder’s e-mail here. (please include the term FPDapplication (one word) in your subject line). The Southern Poverty Law Center offers summer internships to exceptional second year law students who possess strong academic backgrounds, excellent research and writing skills, and a commitment to public interest law. The Center is a national non-profit organization dedicated to reducing bigotry and oppression through education and litigation. Our Legal Department focuses on cases involving the rights of children, prisoners, immigrants, the LGBTQ+ community, victims of hate crimes, and issues affecting economically disadvantaged communities. Start dates are somewhat flexible, but interns are expected to begin between late May and early June. A minimum commitment of ten consecutive weeks is expected. Further information and apply here. The Government Affairs Manager is an exciting opportunity for a full-time position with WEC and WCV to help advance goals across our four programs: Acting for Climate and Clean Energy; Protecting and Restoring Puget Sound; Preventing New Fossil Fuel Infrastructure; and Sustaining Evergreen Forests. 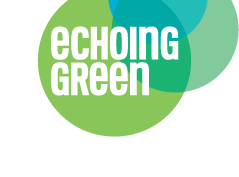 The position reports to the Government Affairs Director and is responsible for shaping and implementing lobbying and advocacy campaigns, fostering strong partnerships with elected leaders and issue experts, and galvanizing support for a healthy environment at local and state levels of government. As part of the Government Affairs team, this position will focus on local government advocacy and may also support state level lobbying and litigation strategies to meet the goals and objectives of a specific effort. No phone calls or mailed applications please. We are hoping to fill this position as soon as possible and will be reviewing applications on a rolling deadline. To apply, please submit a cover letter and a resume to on our website here. 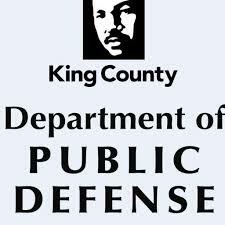 The Department of Public Defense (DPD) is now actively recruiting 3rd year law students committed to working in public defense in King County to begin employment in late summer 2018. The successful applicant will have a passion for public defense and a demonstrated commitment to helping those who are less fortunate. He or she will also have a demonstrated ability to receive feedback and integrate that feedback into his or her practice. The scope of representation expected by an attorney is determined by the nature of the case assignment and in accordance with the Rules of Professional Conduct. Caseload standards established by the State Supreme Court and that foster excellence in legal representation are observed in accordance with Washington State Bar Association guidelines. Attorneys in the Department of Public Defense are expected to complete all required trainings and to actively advance their level of practice by seeking additional learning opportunities. Who May Apply: This recruitment is open to 3rd year law student candidates and may be used to fill current and/or future full-time and part-time career service and term-limited temporary positions in any of the Department’s four divisions and/or office locations in King County. Applications with be screened on a weekly basis beginning August 7, 2017. The most competitive candidates may be invited to participate in interviews beginning mid September 2017. Where to Apply: Interested individuals should submit an online King County application, cover letter, resume, and short writing sample. You can find the online application here. The Council of State Governments (CSG) Justice Center is a national nonprofit organization that provides practical, nonpartisan, research-driven strategies and tools to increase public safety and strengthen communities. In general, the Justice Center works closely with legislative leaders, judges, prosecutors, defense attorneys, victim advocates, and others to develop consensus on various criminal justice issues and to translate this consensus into comprehensive reports, policy briefs, state and federal legislation, model policies, and innovative programs. The CSG Justice Center develops written and web-based materials, conducts complex data analysis, and provides on-the-ground technical assistance to policymakers and practitioners from multiple systems (corrections, behavioral health, law enforcement, etc. ), in state and local jurisdictions. For complete job description and apply here. Time: 10:00 am to noon. Join us on Wednesday, Sept. 13th at 2pm EST, when we continue our Road Ahead for Social Justice series with a conversation about the portrayals of immigrants in popular television shows, and the potential that popular culture presents for transformative change. In this webinar, we will discuss the need for more diverse stories and representation based on findings from our latest research, Power of POP. Guest speakers Bassem Kawar from Take on Hate and Carl Lipscombe from Black Alliance for Just Immigration will provide best practices and recommendations for engaging popular culture based on their own advocacy work. Please join us for this important conversation! Please join Washington Appleseed for our annual Breakfast with the Best. This year’s Breakfast will celebrate the launch of the Washington Reentry Guide. Interested in pro bono volunteerism and don’t know where to start? Come to the Pro Bono Fair to meet with representatives from local legal service organizations to find the opportunity right for you. An evening of hope and inspiration celebrating 50 years of advocacy Every day, it seems, we must respond to yet another outrageous statement or proposal attacking our communities coming from Washington D.C. It can wear you down. But we’re up for the challenge – and have been for half a century. Columbia Legal Services-past, present and future-fights alongside our client community and allies to strengthen the justice and equity movement across Washington State. Join us in celebrating fifty years of working for justice in Washington and imagining a future together in which all communities thrive. A presentation by Jeffery Robinson, ACLU Deputy Legal Director and Director of the Trone Center for Justice and Equality. President Trump claims that removing Confederate symbols amounts to erasing history. False. This is about whether we as a nation choose to honor those who made their names fighting for white supremacy and slavery. Taking down these symbols from our public spaces is a critical step toward rooting out racial injustice and creating a more inclusive and just society. We need to be informed for this fight. Jeffery Robinson will speak about the dark history of the Confederacy and the monuments built in public spaces around the country – what these symbols really mean and how they’ve been used by politicians to rewrite history and incite racial violence. Then we’ll roll up our sleeves and join the movement to take down every last one. The Seattle Women’s Commission is proud to announce Riddhi Mukhopadhyay, Legal Director of the Sexual Violence Legal Services, as the winner of the 2017 Jeanette Williams Award. 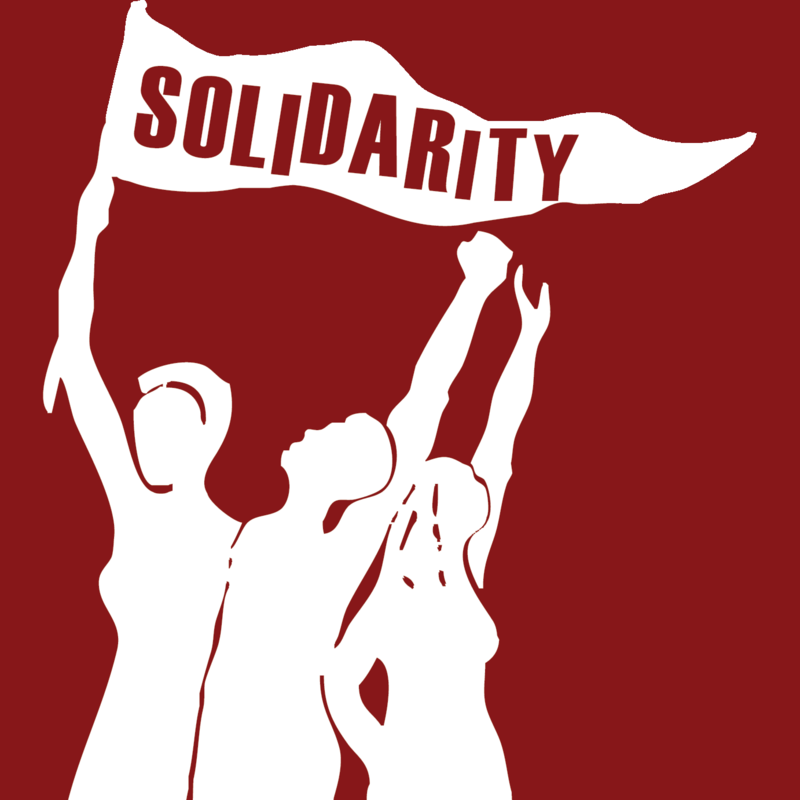 The Sexual Violence Legal Services (SVLS) is a program of the YWCA Seattle|King|Snohomish, and provides trauma-informed direct representation to victims of sexual violence in a wide variety of legal matters, along with technical assistance to attorneys and advocates statewide. Mukhopadhyay has been in the field for over 15 years, previously volunteering and working as a sexual assault and domestic violence advocate with local domestic violence advocacy groups in North Carolina, Texas, and Washington. She is currently on the Board of Directors for Legal Voice, and the Coalition Ending Gender-Based Violence. She is also the current co-chair for Seattle’s Immigration and Refugee Commission. “The EPA official tasked to head up the Chemical Safety and Pollution Prevention office, Nancy Beck, came to the job after working as a former high-level official for a chemical industry association. She was charged with updating the Toxic Substances Control Act (TSCA), which addresses the production, use and disposal of such chemicals as polychlorinated biphenyls (PCBs), asbestos, radon and lead-based paint. Not surprisingly, Beck’s updated TSCA regulations significantly weaken government regulations over these chemicals in consumer products and building materials by removing the provision for regulating all uses of chemicals. 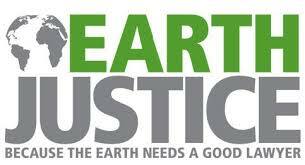 In response, Earthjustice filed two lawsuits against the EPA late last week for weakening these regulations. The suits were filed on behalf of organizations representing populations that are most at risk from weakened chemical regulations—low-income communities, parents and teachers of children with learning disabilities, workers and indigenous populations. Application Due: See deadlines in the job description. “OSTP supports and coordinates the Administration’s science and technology priorities. Students interested in working directly with policy advisors on the development of national policy should apply for a Policy internship. Ideal Policy intern candidates have a passion for science and technology, strong written and verbal communication skills, the ability to work well on short deadlines while handling several projects, and a willingness to support outreach events and communications. Policy internships are open to interested students from all majors and programs. Any student (including law students) may apply for a Policy internship. For more information, or to apply here. 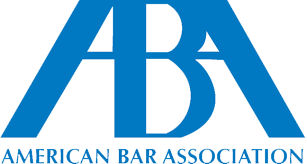 American Bar Association Center for Innovation announces eight Inaugural Fellows, including UW Law alum Aurora Martin! The Roddenberry Fellowship is a new 12-month program for activists from across the country who are working to protect the most vulnerable and to make the US a more inclusive and equitable place to live. 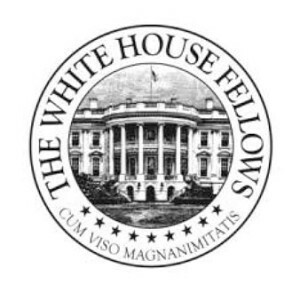 Twenty Fellows will be selected to receive $50,000 each, as well as tailored support, to help implement a project or initiative in one of four areas: civil rights; Climate change and environmental justice; immigration and refugee rights; LGBTQIA and Women’s Rights. The UCLA School of Law is seeking a top public interest lawyer to become the Executive Director of the David J. Epstein Program in Public Interest Law and Policy (Epstein Program). The Epstein Program is the leading public interest curricular program in the United States. For two decades, the Epstein Program has trained and mentored future attorneys to become innovative leaders dedicated to public service and advancing justice. The hallmarks of the Epstein Program are its exceptional faculty, cutting-edge curriculum, vibrant community, and deep commitment to student success. The Epstein Program has specialized admissions, teaching, mentoring, and advising for Epstein Program students and alumni. This is a year-round, academic, non-tenure track position with an expected start date of January 1, 2018. Minimum academic requirements include a J.D. or equivalent advanced degree from a U.S. school and an excellent academic record. The ideal candidate will have at least five years of practice experience, as well as significant leadership capacity and initiative. The salary and level of appointment will be commensurate with qualifications and experience. Rolling Basis: Northwest Immigrant Rights Project, Internship in the Granger Office. The Northwest immigrant Rights Project’s Granger office provides free and low cost immigration legal services to residents in Eastern Washington. Granger is about 30 miles east of Yakima, and within the heart of the agricultural industry in Washington State. Our offices are housed within the Northwest Communities Education Center, which is home to numerous non-profit organizations providing services to farm workers, and Radio KDNA, which is the only public radio station in the state producing educational programming for the Spanish speaking community since 1979. Due December 11: Northwest Immigrant Rights Project, Internship Summer 2018 with the Tacoma Office. The Northwest Immigrant Rights Project is seeking law student applications for spring and summer internship positions in its Tacoma office. These internships are unpaid, but NWIRP will work with applicants to secure outside funding or academic credit. For summer, full consideration will be given to applications received by December 11, 2017. No applications will be accepted after March 1, 2018. “When Stephen Bingham and Timothy Jenkins remember traveling to Mississippi in 1964 to take part in the Freedom Summer, with the stated goal of registering African-Americans to vote, they recall being exhilarated. It was an exciting time for the civil rights movement and the two—along with thousands of other volunteers from the NAACP, Southern Christian Leadership Conference, Congress of Racial Equality, Student Nonviolent Coordinating Committee and the rest of the rich alphabet soup that is part of historical lore—felt energized and inspired by the hurly-burly of protests, marches, demonstrations and organized political activities that made them feel as if they were helping to bring about important social change. “In this episode of Asked and Answered, the ABA Journal’s Victor Li speaks with attorney and activist Paul Harris about his work stretching back to the 1960s. Harris, one of the radical “movement lawyers” featured in the cover story for the August issue of the ABA Journal, talks about his work defending high-profile clients like Huey Newton, Leonard McNeil and others. 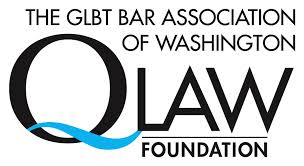 The LGBT Bar Association of Washington: QLaw is happy to share the news that the Judges’ Bench Guide is here! The Judges’ Bench Guide on the LGBTQ Community and the Law is a resource of judges, lawyers, the legal community, and anyone else who would like to learn more about some of the legal issues affecting the LGBTQ community. The guide was prepared to QLaw Fioundation and QLaw Association for the Washington State Supreme Courts Gender and Justice Commission.